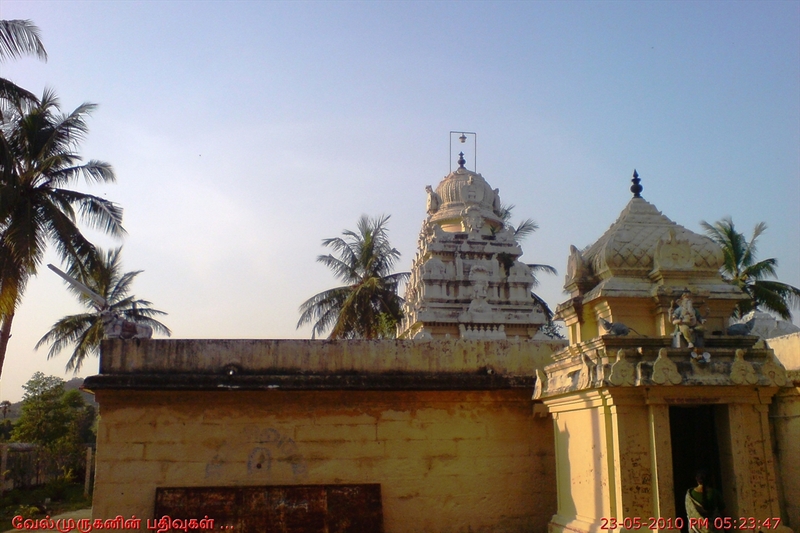 Thiruidaichram ( presently called as Tiruvadisoolam ) has one of the ancient shiva temple, which is located Chengalpattu - Thiruporur road. 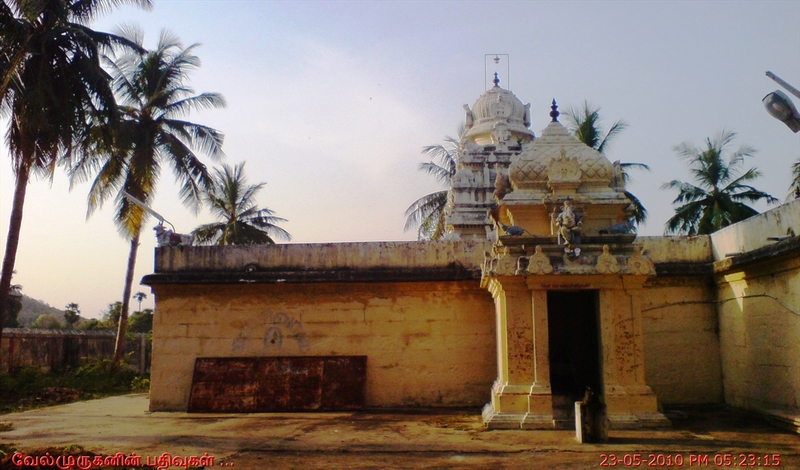 This is one among the 274 Devaram Paadal Petra Shiva Sthalam and 27th Thondai Nadu Devara Temple. 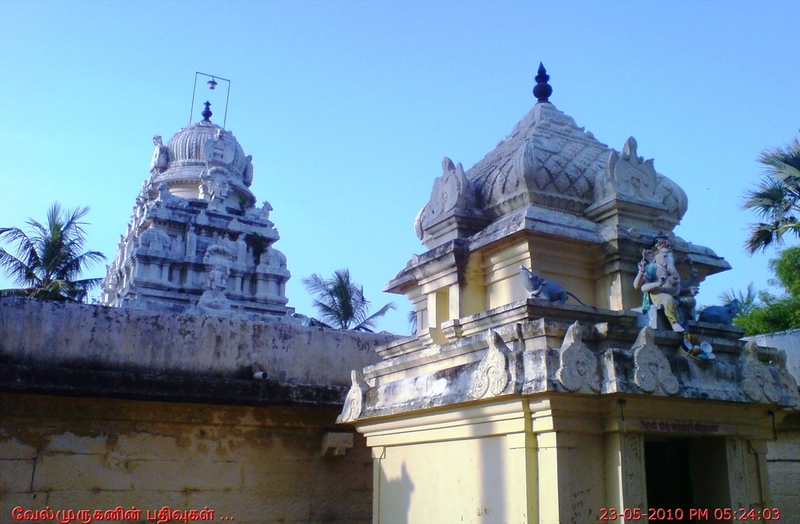 Recently 5-tier raja koupuram has been built for this temple. 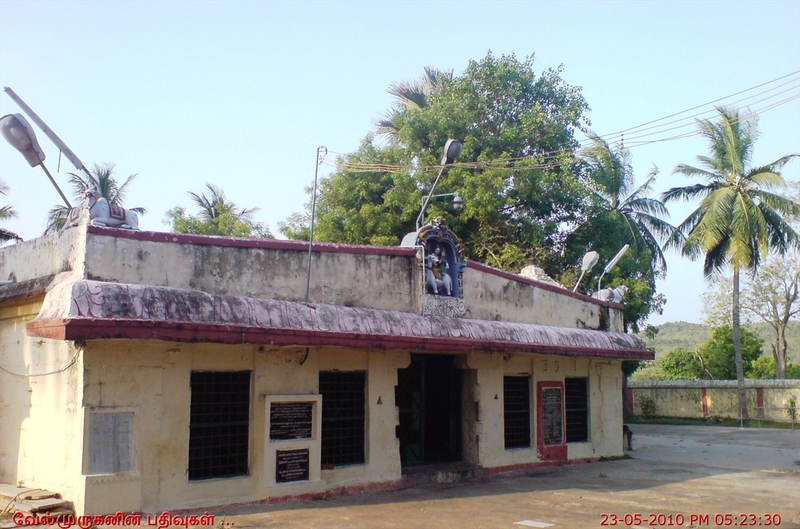 Goddess Parvathi came here as Kamadhenu (cow) with her brother Lord Vishnu and worshipped Shiva by pouring milk on the Shivalingam. 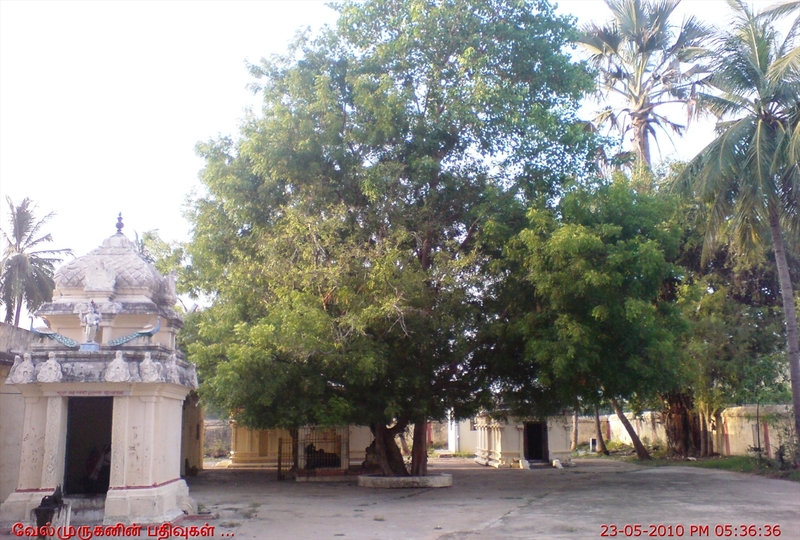 Sages Gowthama Maharishi and Sanath kumarars worshiped Lord Gnanapureeswarar of this temple. 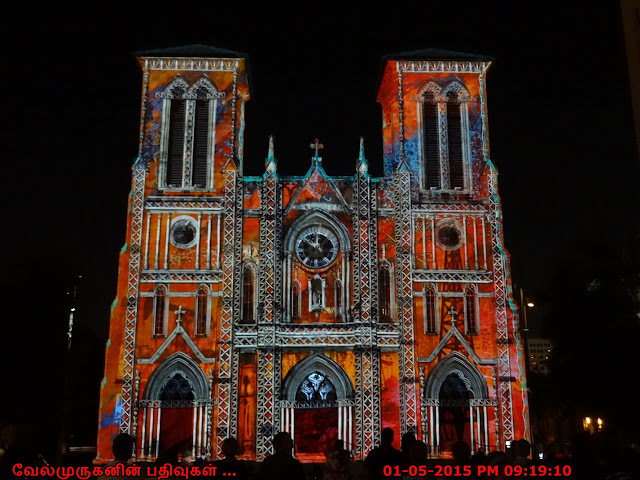 The temple can be easily reached from Chengalpet or Thiruporur. 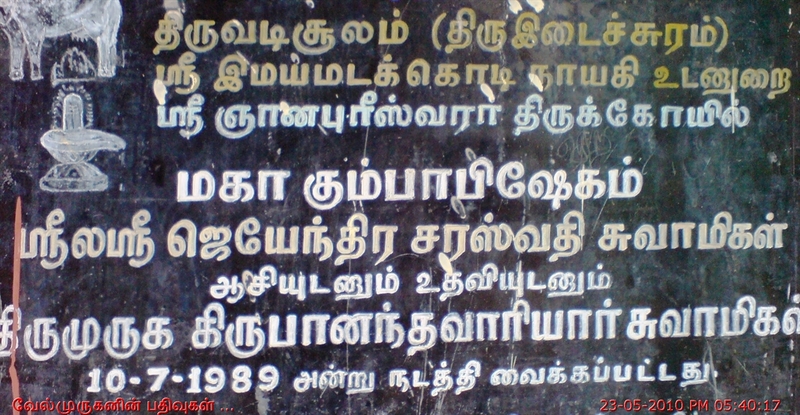 It is about 7 kms from Chengalpet towards Thiruporur Road. 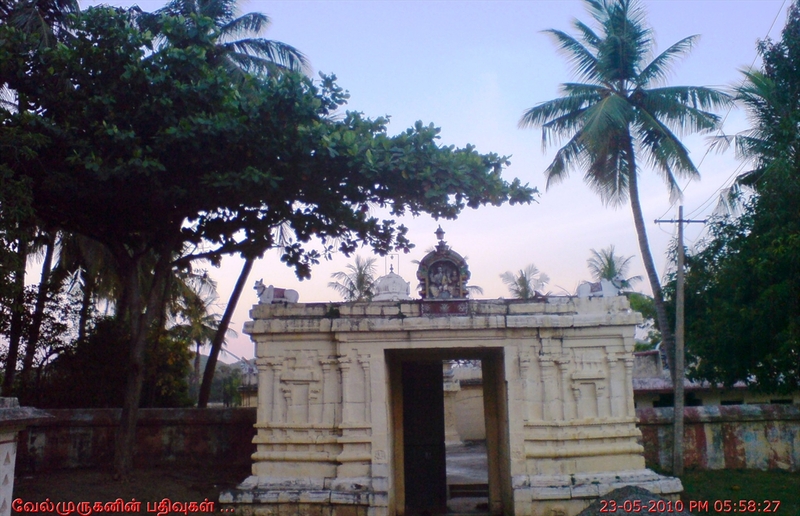 There is an arch on the main road indicating the entrance to the temple.